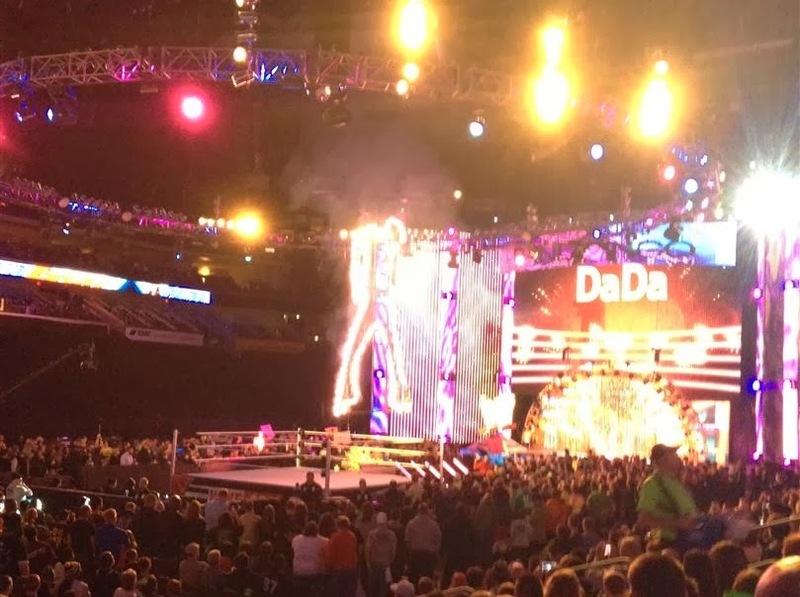 Back in September, Holden and I went to see Monday Night Raw when the WWE stopped in Des Moines. 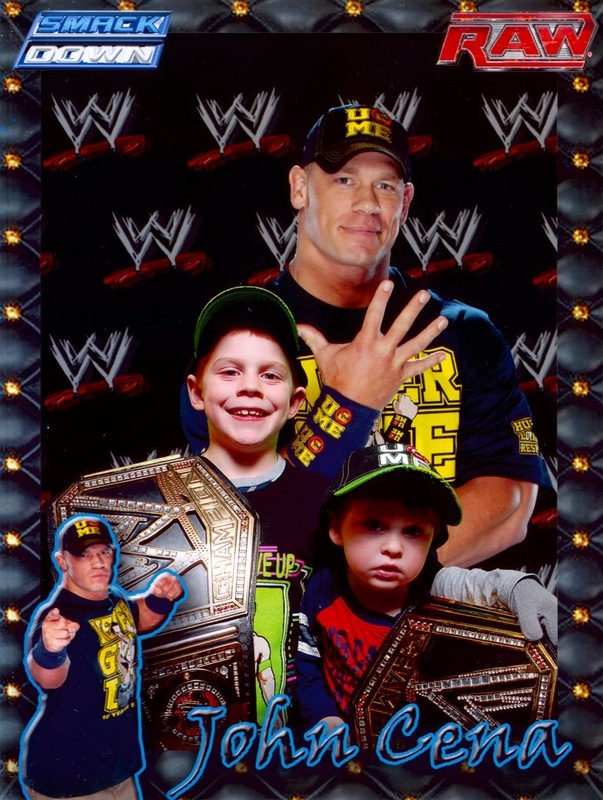 On the way out of the building that night Holden asked if we could go again when the WWE came back to town. It had been several years since they'd made a Des Moines stop so we didn't know when that would be but I assured him that we would definitely go again (and that we'd take Maddux and Mom this time as he and I went by ourselves the first time). 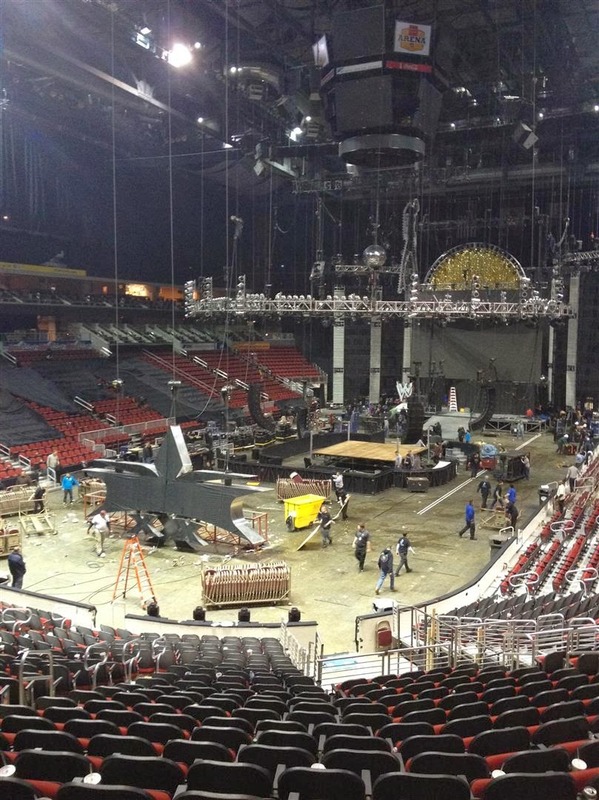 Fast forwarding a couple of months to one morning in December on my drive to work, I heard a radio commercial advertising a WWE Smackdown stop in Des Moines in February. It was a surprise hearing that but it was instantly clear that I was about to go to my second WWE event in only six months. So, despite the snow storm that caused some schools to get out early and evening activities in the area to be canceled (I use the term "snow storm" loosely as the weather was not even close to being as bad as it was predicted to be) Leah, the boys, and I headed to the Iowa Events Center last night for an evening with WWE superstars. 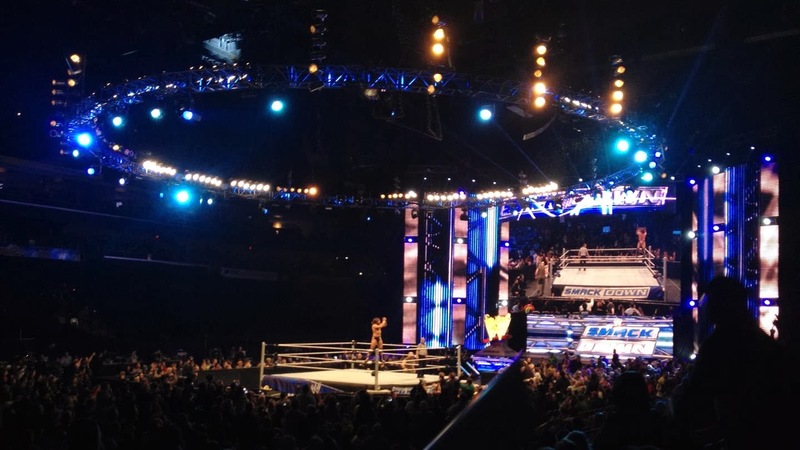 There was one dark match, a taping of WWE Main Event that featured three matches, then the taping of Smackdown that will air this Friday that had seven matches (followed by a short dark match for the good guys to win and send the crowd home happy). 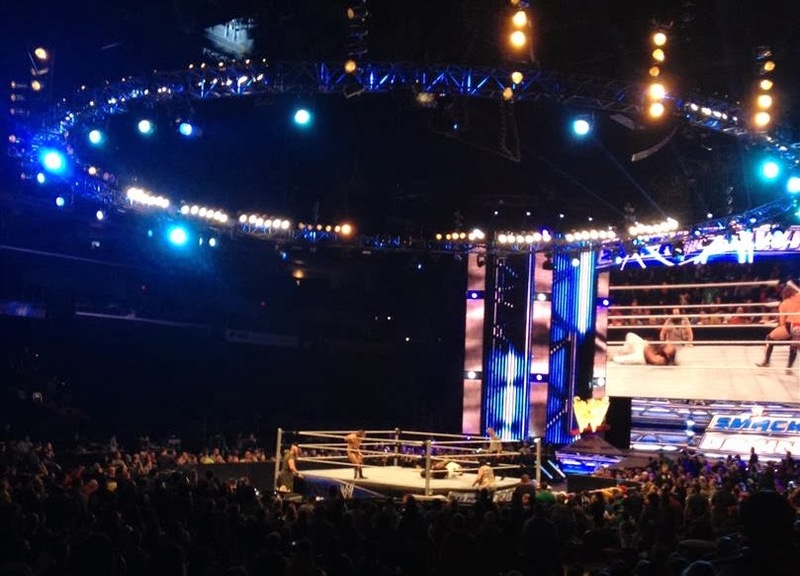 My overall impression was that the crowd was much smaller than the one at Raw and that last night's crowd seemed much more dead. 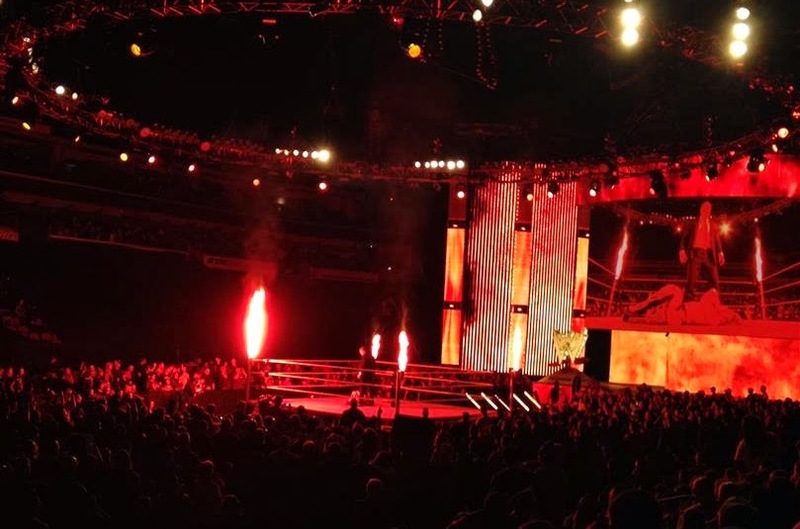 I don't know if it was because of the weather, because it wasn't for the flagship Raw show, or because WWE fans are kind of pissed at story line directions at the moment. That said, it was still a great night and I'm glad we went. 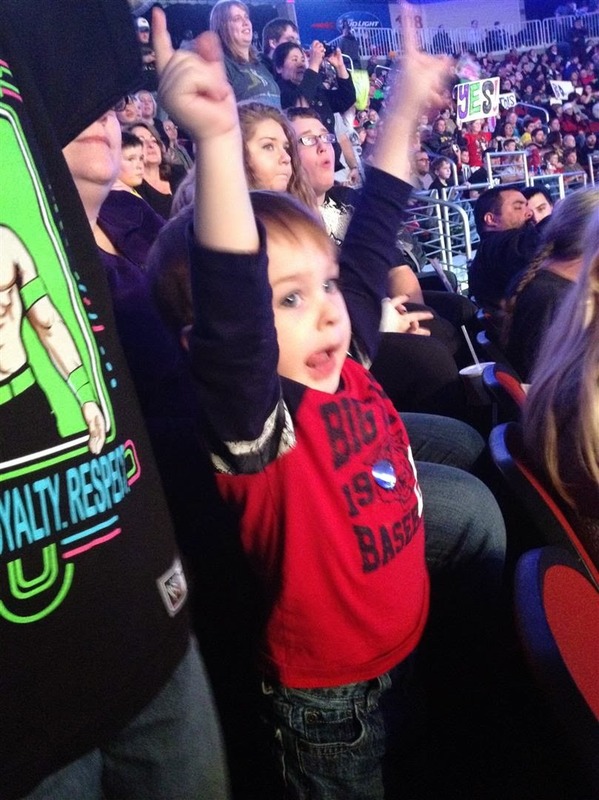 Maddux was in absolute awe the first time real live WWE guys came out to the ring. 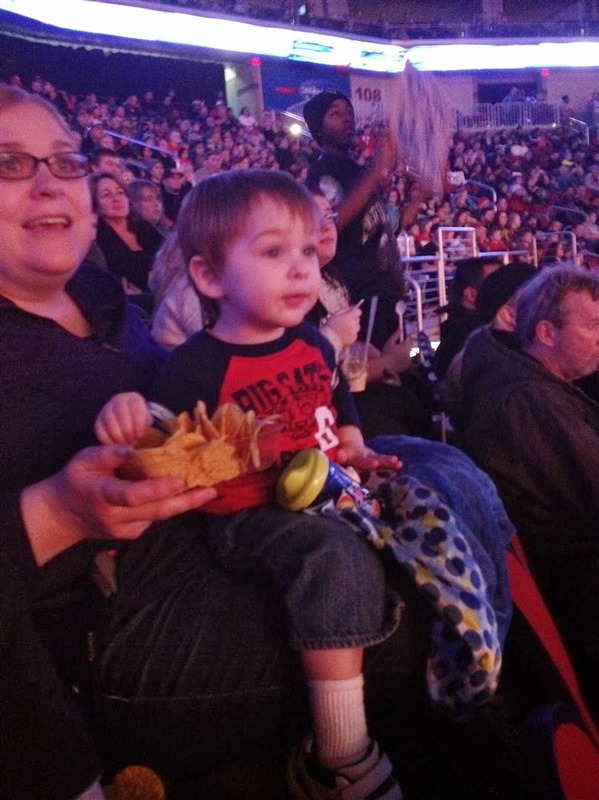 Despite it being over three hours, he did fantastic sitting and watching (and cheering, yelling, and screaming!) until the last half hour or so when it became clear that we'd reached the end of his being awake time. Holden had a great time again as well. Mom and Dad definitely had fun seeing the boys have that much fun. The one thing I'd change? Back in September I was kicking myself for not taking a camera. I swore I'd remember the next time we went. Guess what I didn't bring. So once again, phone pictures only. Next time though - seriously. I mean it this time. I'm taking a camera. 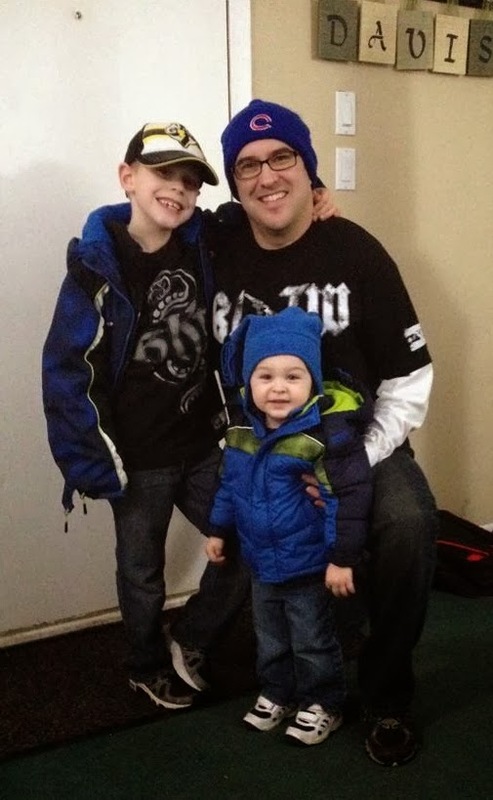 The boys and I before leaving. You're damn right that's a CM Punk shirt. This was Maddux's expression for the first 15 minutes or so as he processed the fact that the ring and wrestlers he plays with all the time at home in our living room were life size and in front of him. 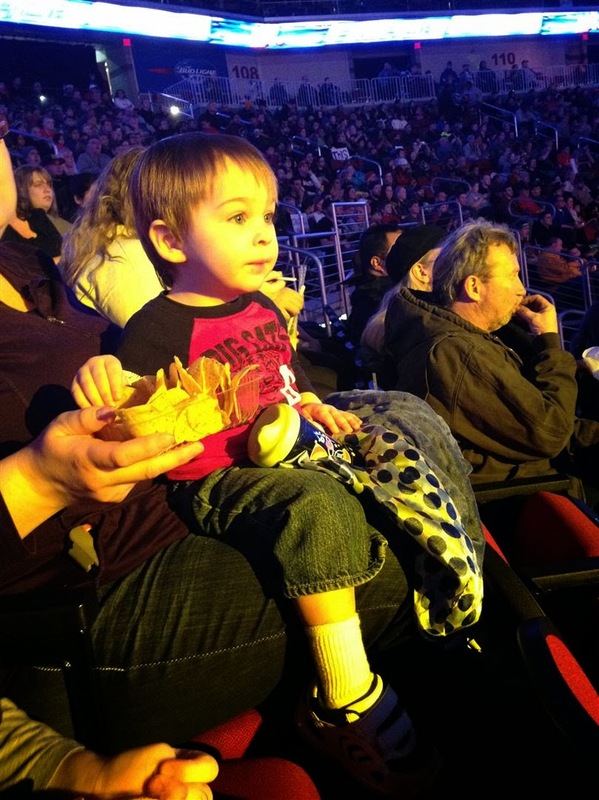 WWE superstars (or "guys" as Maddux calls them) AND nachos? Pretty good night for a two year old! 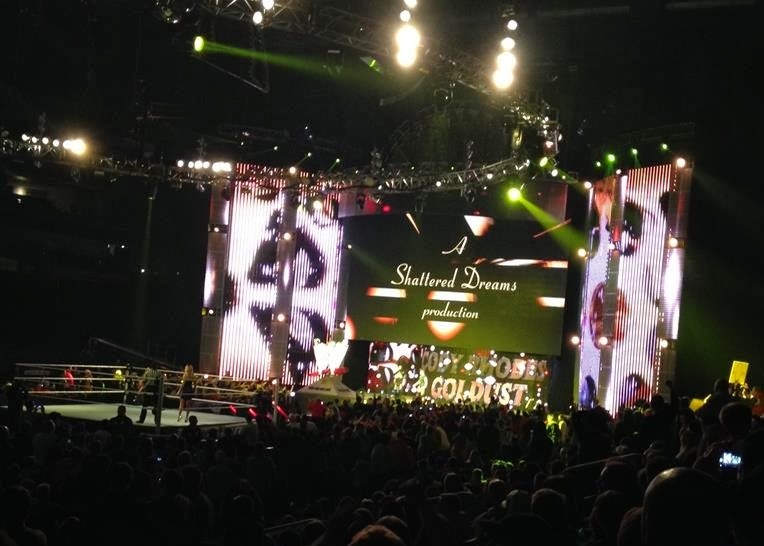 The picture doesn't show it but the memory of Summer Rae and her short skirt coming out will live in my mind forever. 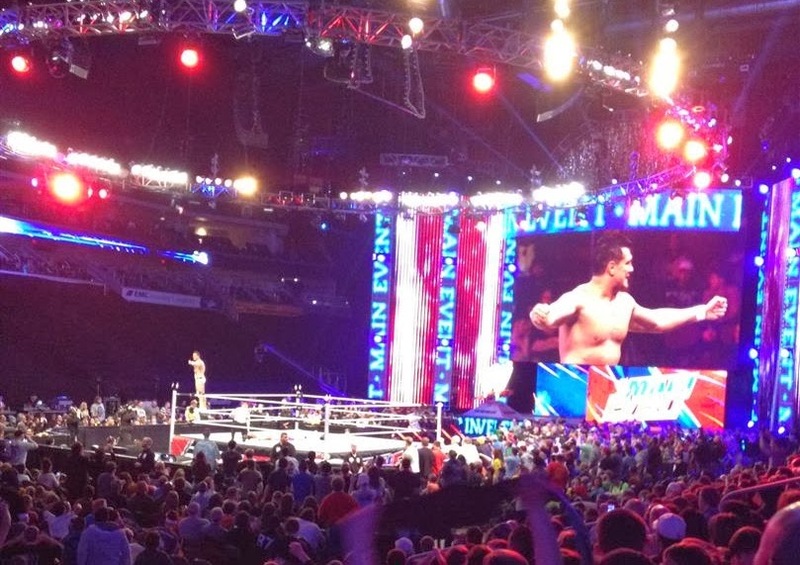 Maddux does a damn good Alberto Del Rio introduction. Glad he saw him in person. 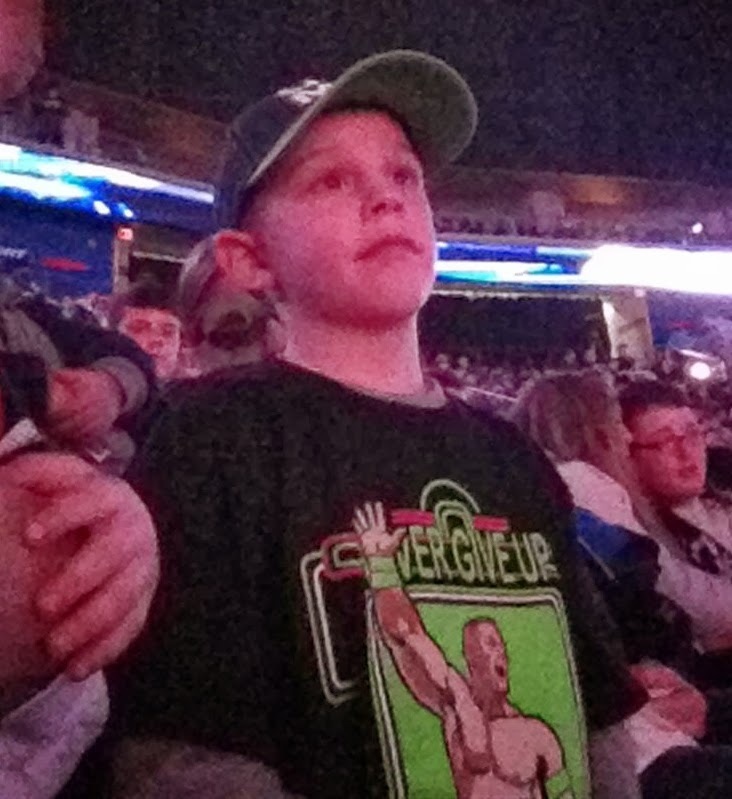 Leah is now the proud owner of a Daniel Bryan shirt just like the one he's wearing in this picture. 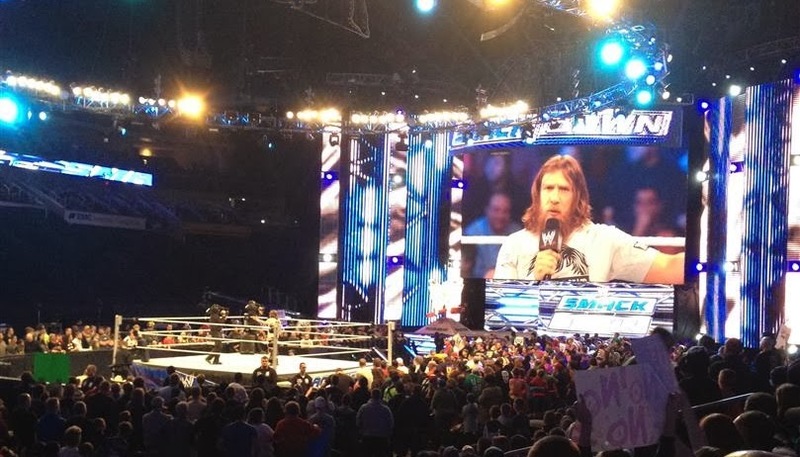 Daniel Bryan addresses the crowd. Ceasaro and Bryan with Zeb Coulter and Jack Swagger looking on. Kane after choke slamming Daniel Bryan. Holden was chanting "You Sold Out!" at Kane. 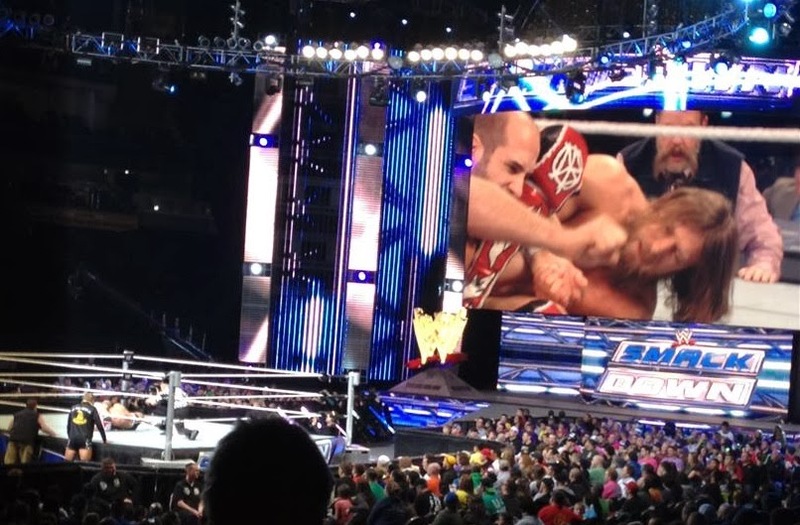 Daniel Bryan getting ready to kick Bray Wyatt's effing head off. 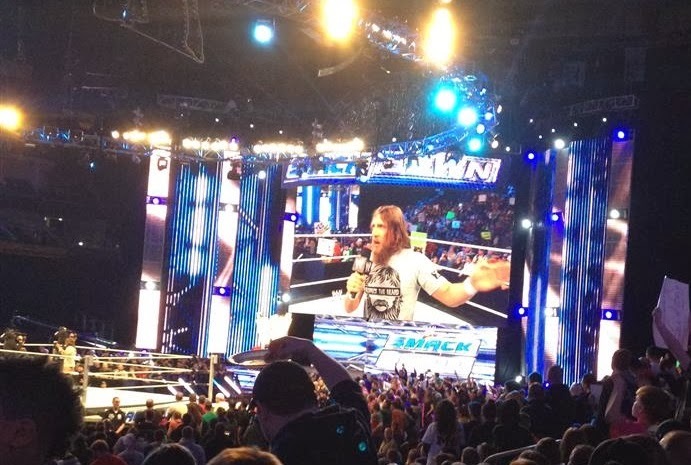 Daniel Bryan celebrating with the crowd at the end of the night. The boys with WWE championship belts (which Holden says are very heavy!). 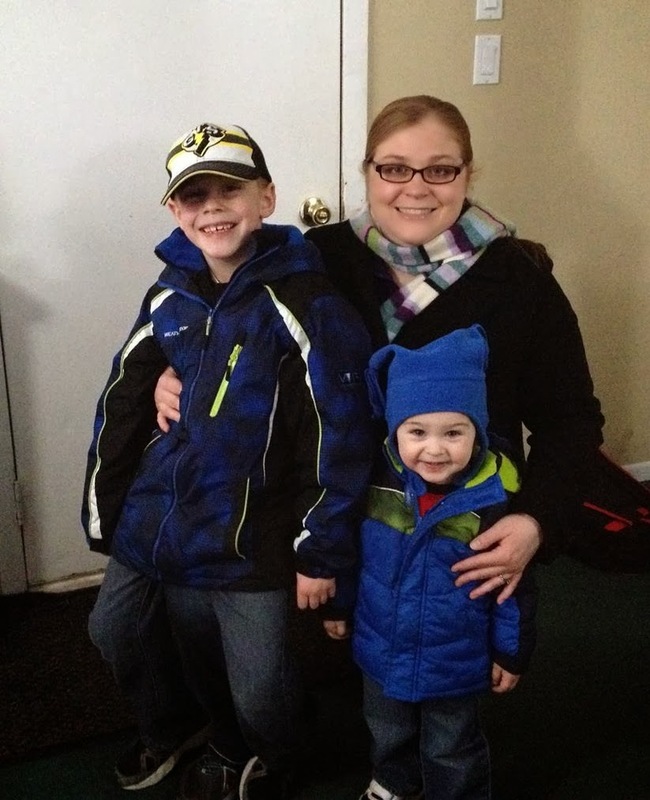 Blame the dude taking the picture for Holden's hat position. He had it on normal until the photographer screwed with it.